Eicher Motors, maker of Royal Enfield motorcycles, has overtaken Pune-headquartered Bajaj Auto in market capitalisation and become the highest valued Indian two-wheeler company. Eicher’s stock rose about 2.6 per cent on Monday to a new high of of Rs 30,160 on BSE. The Gurugram-headquartered firm closed the day with a m-cap of Rs 81,776 crore at BSE, ahead of Bajaj Auto’s Rs 81,242 crore. 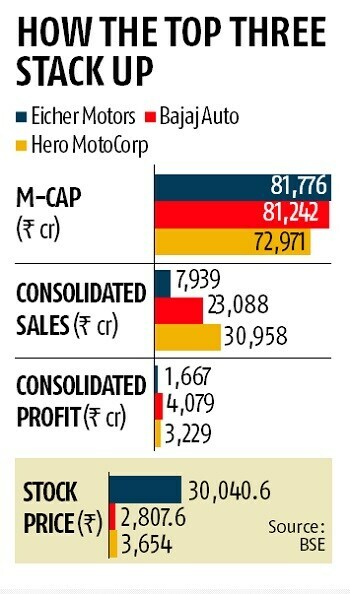 The country’s largest two-wheeler maker, Hero MotoCorp, has one of Rs 72,971 crore. Eicher is a niche motorcycle maker, with significantly lower volumes than Bajaj and Hero. Its revenue and profit is also the lowest of the three. Consolidated profit was Rs 1,667 crore in 2016-17, almost half of Hero’s Rs 3,229 crore; Bajaj Auto’s was Rs 4,079 crore. Yet, investors have remained bullish on Eicher. However, it is Royal Enfield that accounts for the lion’s share in profit and drived the investors. The latter remain bullish on the Eicher stock, up almost 40 per cent since January. Brokerages continue to give a ‘Buy’ call on the scrip. “The largest profit maker is not always the most valued company. Eicher is uniquely positioned with Enfield and the market perceives limited threat to the product in terms of competition. The business seems highly sustainable in the long run,” said an analyst who follows the company. Eicher’s operating earnings margin of 30.9 per cent in FY17 was the best in the domestic auto industry. 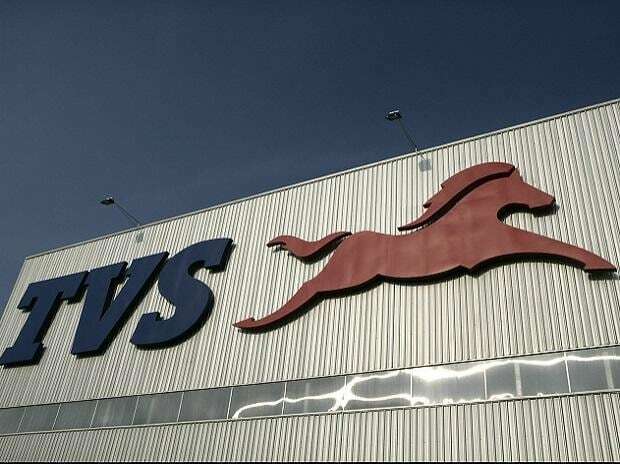 Last year, the company reported a 46 per cent jump in consolidated profit. 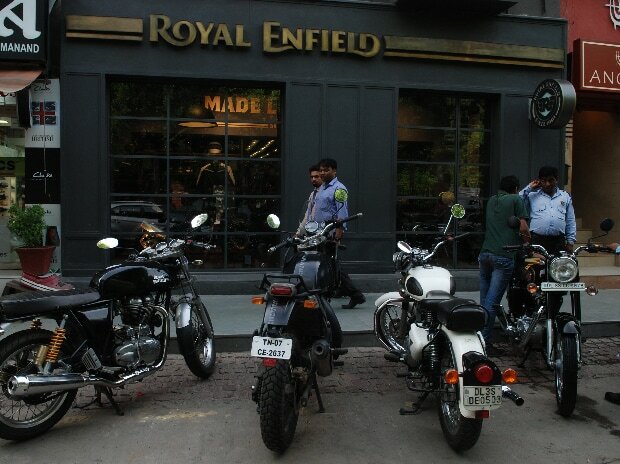 Sales of Royal Enfield have grown at a pace higher than the industry, year after year. 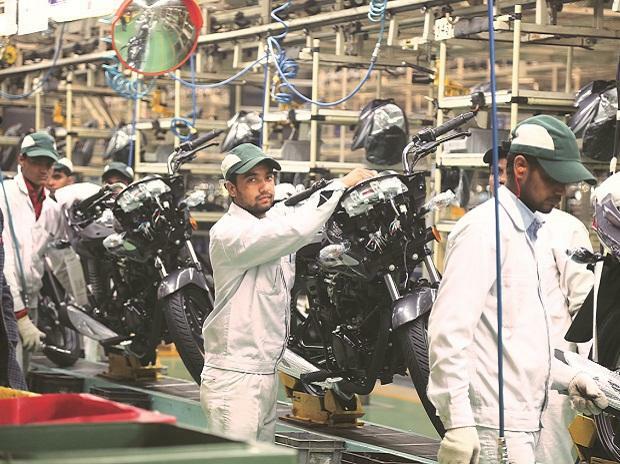 Last year, its domestic motorcycle volumes grew 30 per cent to a record 651,107 units; the motorcycle industry grew less than four per cent. The two-wheeler industry grew seven per cent. Hero sold 5.69 million units in the domestic market, marginally higher than FY16. Bajaj’s domestic motorcycle sales expanded five per cent to two million. 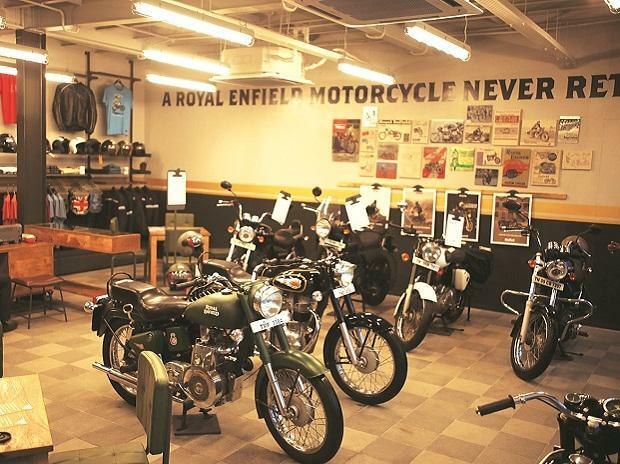 Unlike mass motorcycles, Enfield’s products enjoy a waiting period of two to three months. With expanded capacity this year, Eicher is set for a new record in sales. “Enfield has grown from strength to strength in the past few years. However, we still have large headroom for growth,” Siddhartha Lal, managing director, said in the latest annual report. “In developing markets, especially India, the two-wheeler market is dominated by the sub-250cc commuter segment. I believe, with rising incomes and the increasing aspiration for leisure motorcycling, customers from the commuter segment will gradually shift towards the middleweight segment (250-750cc) that is dominated by Royal Enfield,” Lal added.